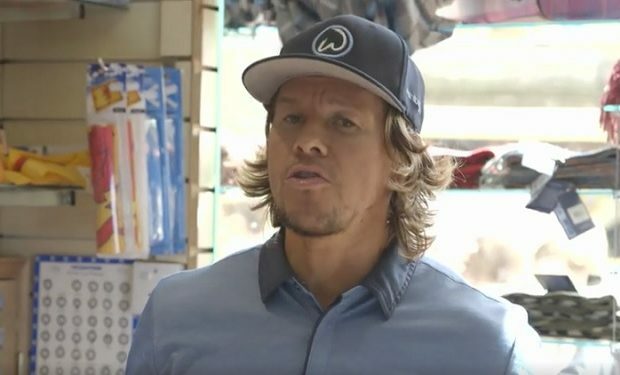 On the Wahlburgers episode ‘Great Scotland!’, Hollywood star Mark Wahlberg (The Fighter, Boogie Nights, Ted) and his chef brother Paul Wahlberg visit Scotland. While Paul prepares a fancy dinner at a palatial estate, Mark — looking a lot like American pro golfer Rickie Fowler — hits the legendary St. Andrew’s Old Course. Media reports say he completed the 18 holes under four hours but his score was not revealed. Mark Wahlberg is serious about his golf game. He hired a company (Back Nine Greens) to build a golf practice complex in his backyard, and it’s no joke. Wahlburgers airs Wednesdays at 10pm on A&E.